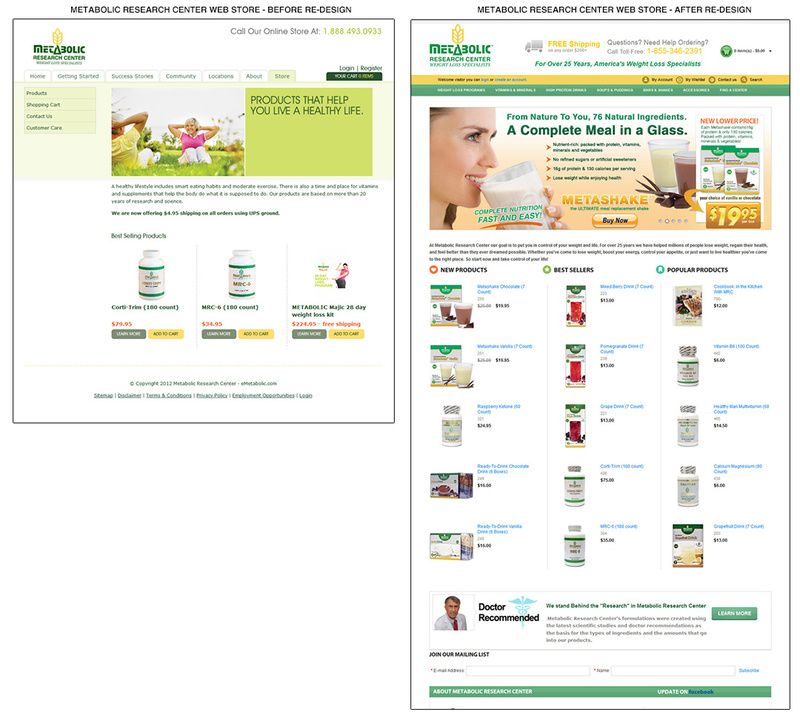 Complete redesign of responsive e-commerce site for Metabolic Research Center with extensive features and back-end reporting tools. 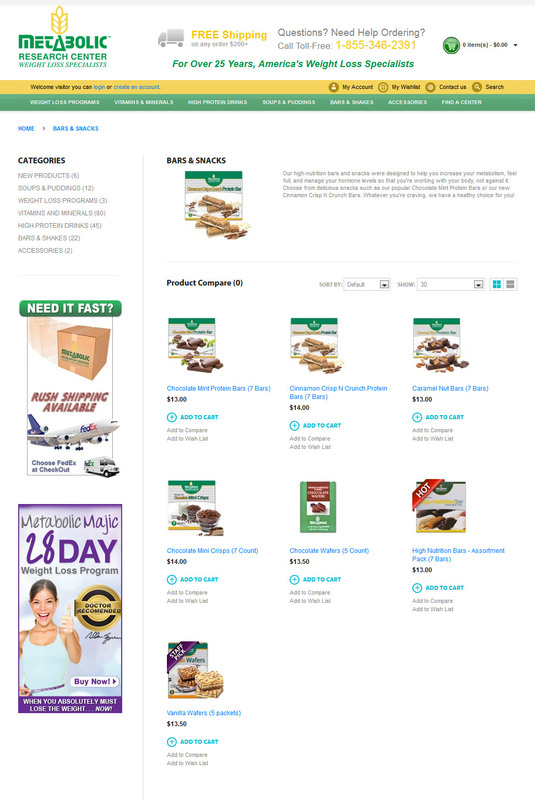 Increased sales by 150% in first month, 260% in 5 months and generated over $750K in sales in first year. Streamlined shipping procedures with integration of FedEx solutions including shipping labels, real-time pricing, automated tracking emails and branded invoices. 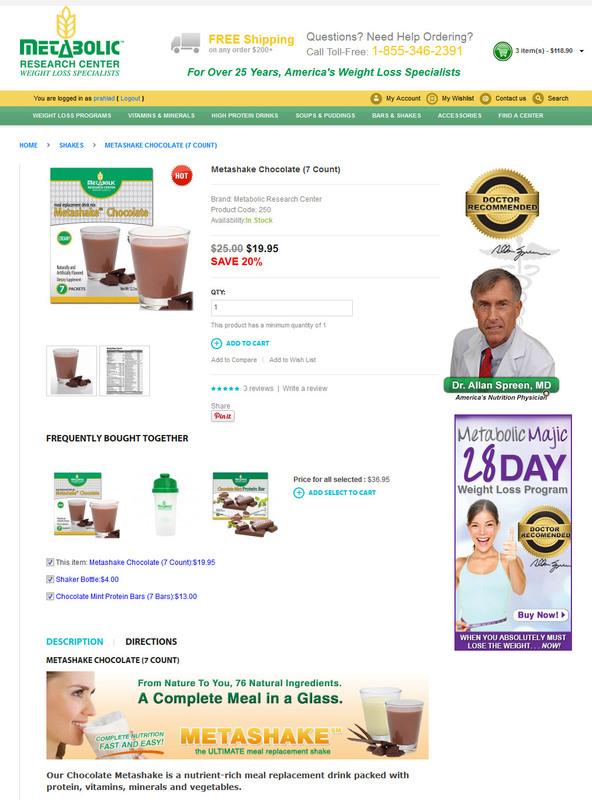 E-commerce store features over 70 weight loss products and supplements for purchase online. Built from scratch on Opencart framework with highly customized modules for shipping, payment, shopping cart abandonment and back-end reporting. 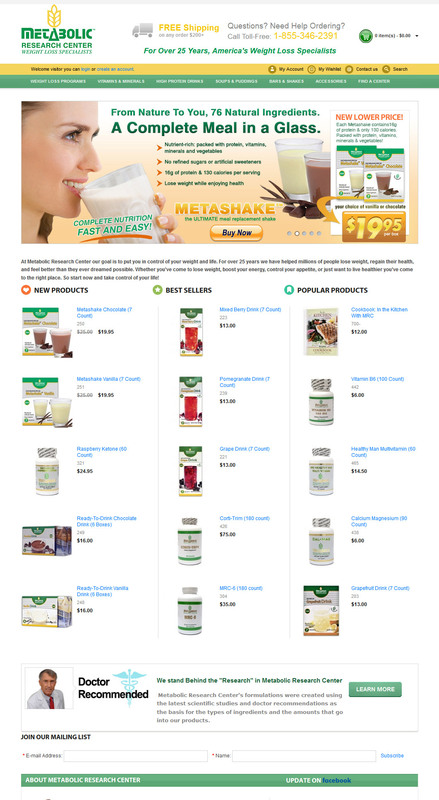 • Full SEO integration with excellent organic Google and Bing search results. • Responsive design / Mobile ready. • Real-time shipping calculations through FedEx integration. 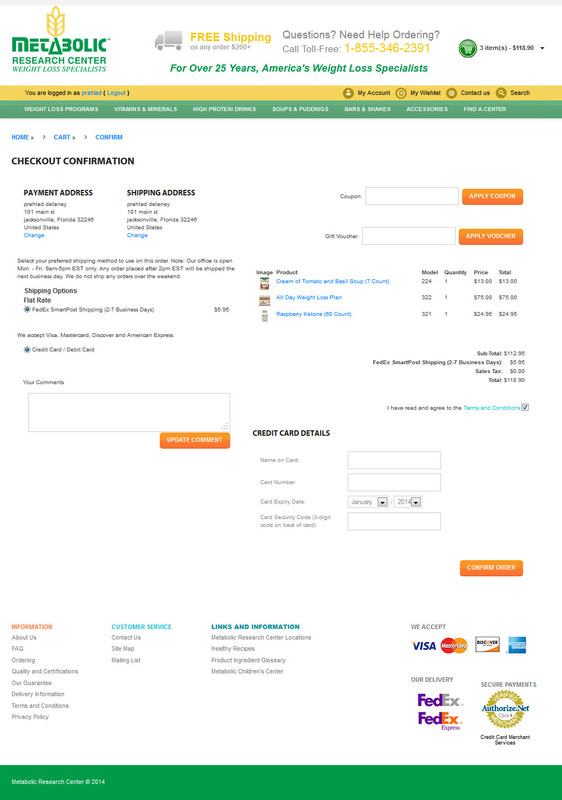 • Automated abandoned cart reminders. • Integrated mailing list signup. • Customer reviews and favorites.